SPEAK LIVE WITH AN EXPERT. 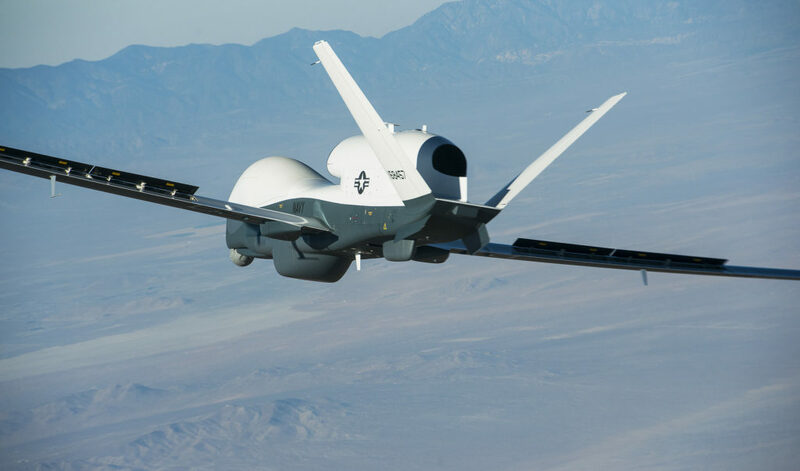 The proliferation of intelligence, surveillance and reconnaissance (ISR) information is radically changing the landscape of national defense. 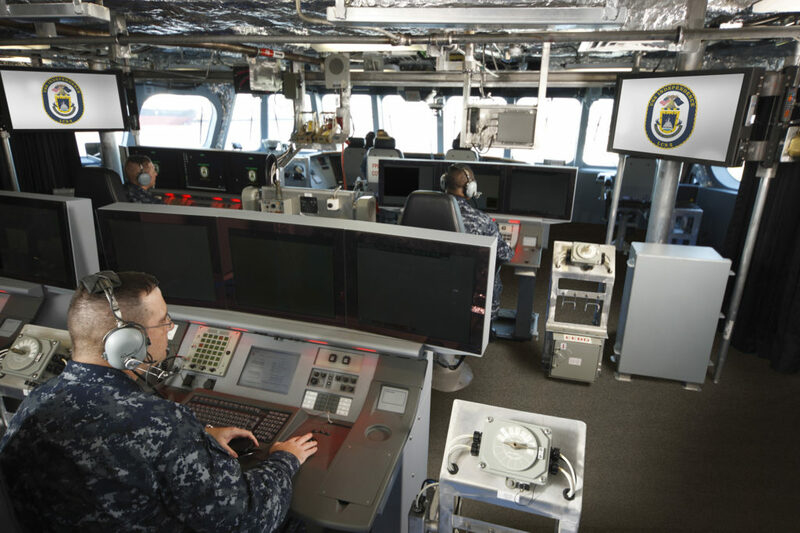 Asymmetrical threats, multi-domain battlespaces, and dynamic mission requirements make information acquisition and analysis a key weapon for the modern warfighter. Thinklogical can help. We’ve developed an innovative, highly secure, end-to-end video and data extension and switching infrastructure that delivers the information you need, when and where you need it most. Our commercial off-the-shelf (COTS) video and KVM (keyboard, video and mouse) distribution system creates a highly-efficient and flexible command and control architecture, where any source of information may be instantaneously displayed at any end-point, while giving the system administrator the ability to restrict a data source from being displayed as needed to meet operational or security requirements. Thinklogical manufactures the only highly-scalable, mid-to-large fiber-optic KVM matrix switches that are IA-accredited to manage multiple classifications of information through a single switch, dramatically reducing infrastructure cost and complexity, increasing cyber-security and minimizing the requirement to air-gap networks at the desktop. 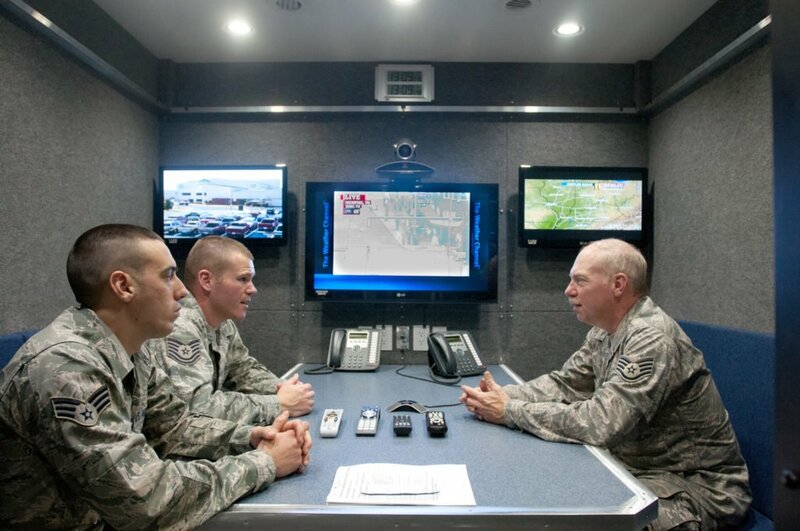 Mainstream audio-visual and IT systems are not designed for secure command and control applications and are not efficient or approved to manage multiple sources of information at multiple classification levels. 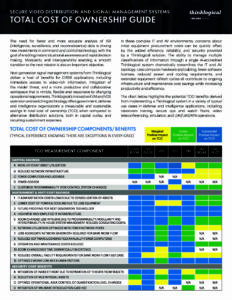 Organizations typically need to invest in and maintain separate and parallel air-gapped data infrastructures – one for each classification or network – to accomplish what Thinklogical can do with a single IA-accredited system. 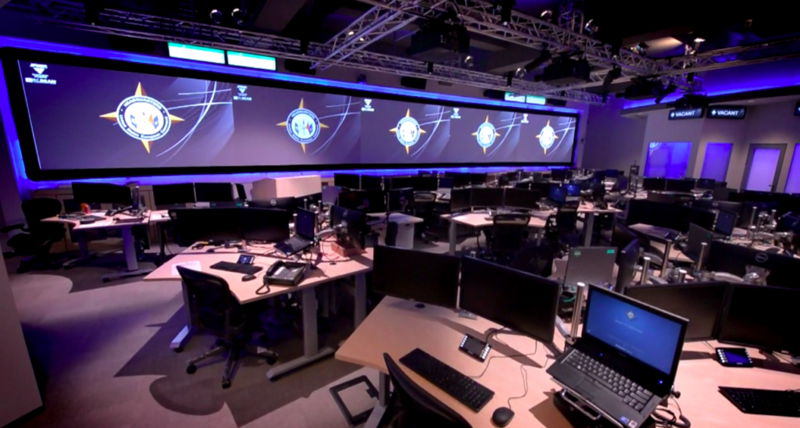 Thinklogical allows agencies to be more nimble, efficient and productive, reducing IT and AV system complexity, and lowering the overall total cost of ownership. 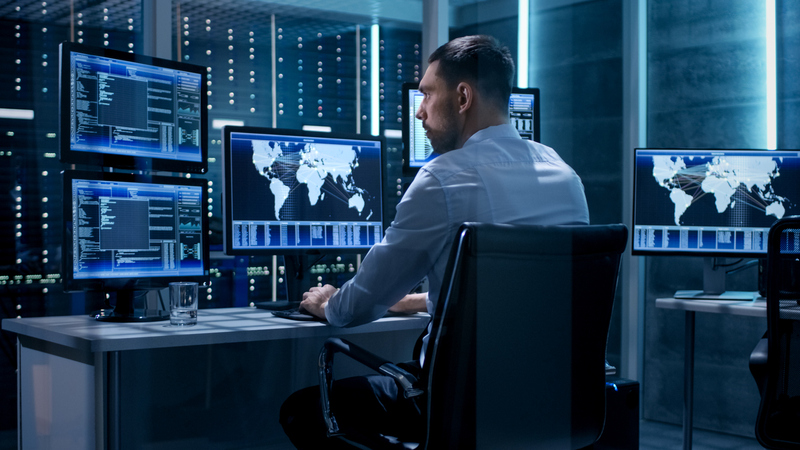 Thinklogical helps defense and intelligence organizations turn video-rich data into actionable information, leading to faster and better-informed decision-making and improved mission outcomes. TAA Compliant: designed and manufactured in the U.S.A. Manage multiple classifications through a single system to achieve instant situational awareness and information superiority. Multiple classifications through a single system reduces complexity and improves decision making. Secure video distribution and smooth control surface performance enhances mission accuracy. Redundant integrated systems increases situational awareness and enables flexible station staffing. Back-racking and extending codecs lowers costs and increases flexibility of VTC resources. 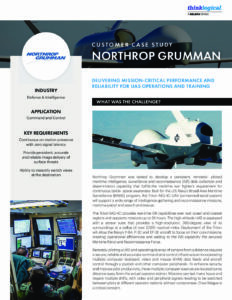 Delivering mission-critical performance and reliability for UAS operations and training. In 2017, U.S. Government agencies saw a 20 percent increase in data breaches, which was more than any other industry sector and well ahead of the global average1. At Thinklogical, security is at the very core of everything we do. Our IA (information assurance) accredited video distribution and KVM systems allow federal, state and local government customers to vastly improve their premise cybersecurity and mitigate intentional or accidental insider threats by removing user access to computers or thin clients at the user workstation. Computers are back-racked in a secure IT room and replaced with a Thinklogical receiver at the user workstation where any source of information can be instantaneously displayed. Our 100-percent uncompressed KVM system architecture preserves every pixel of the video image with no added latency, artifacts or lost frames and delivers smooth and accurate keyboard and mouse control surface performance, regardless of distance between the source computer and the user. With Thinklogical, you can easily do more with less, by pooling network and computer resources in back-racked IT rooms, streamlining AV and IT complexity and reducing IT hardware, software licensing, and ongoing maintenance costs. Each user desk, classroom or conference room can easily and quickly change its purpose, configuration and use case as required, with just a keystroke. Supporting all common AV and IT formats, Thinklogical KVM extenders and matrix switches provide government agencies with the highest level of security, flexibility and an overall lower total cost of ownership. Our new Integrated Client Transmitter module provides an additional layer of security, efficiency and savings for those agencies operating in a cloud or virtual desktop infrastructure (VDI) environment. The Integrated Client is a full-featured virtual machine desktop client combined with a secure, high-performance KVM transmitter extender. This compact, all-in-one module eliminates the need for a separate client device in extended cloud or VDI applications and increases system security by back-racking the client in a secure IT room. The Integrated Client reduces IT complexity, improves resource allocation and allows customers to use a minimum of 50% less rack space than traditional configurations, saving money and precious IT real estate. 1. “2018 Thales Data Threat Report – Global Edition”, 2018. Garrett Bekker. 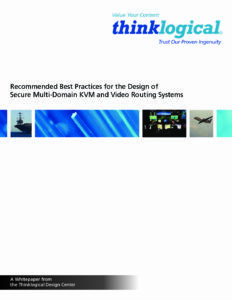 When mission-critical applications for secure facilities and C4ISR are involved, system integrators and administrators understand that it is essential to provide users with KVM and video extension and routing systems that leave little room for downtime. This white paper from Thinklogical outlines the best practices for designing and implementing highly secure visual computing environments for command and control that meet demanding Information Assurance standards. 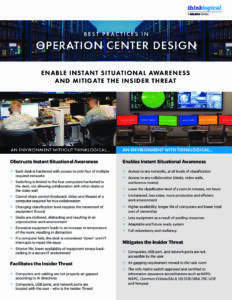 Learn best practices for enabling instant situational awareness and mitigating the insider threat.